Cycling can be cruel and satisfying, charming and tiring, sad and fun. Paris-Roubaix was, as usual, a mix of emotions. There was surprise, seeing Dillier hammer on the pedals in the break and in the Vélodrome; joy, for Sagan, a worthy winner once again; sadness and disbelief, for the sudden loss of a young man, who was doing what he loved, surrounded by friends and people cheering for him, and who will never be forgotten. Then there is Evaldas, who can be associated with an infinite number of adjectives. 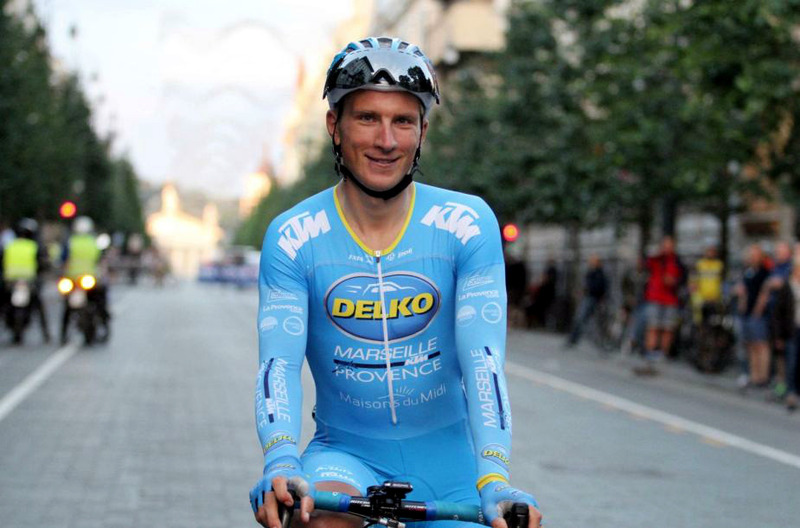 I’ve always been interested in reading stories from riders all over the world and, as a big fan of Lithuania and, more specifically, Lithuanian athletes, I’ve been paying attention to Šiškevičius, Konovalovas, Navardauskas, Bagdonas, among others. In an unexpected twist of events, I had a phone call with Evaldas Šiškevičius yesterday; a conversation about his past, present and future. His status on a famous messaging app is set on Disponible, but Evaldas is much more than that: he takes some time before dinner to answer my questions and after the very first minutes I feel like he’s talking with a friend; I’m overjoyed. When did you started cycling and why? I started at thirteen years old, when I was in school. No one in my family was cycling, it was just a passion I had. Real racing didn’t begin until sixteen, though. At sixteen years old I went to Belgium, where I raced in a team called Litubel [based in Waregem and supported by a flooring company that was exporting from Lithuania], and started riding as a junior, Paris-Roubaix, Omloop Het Volk [which he won in 2006], and smaller races. What happened after your seasons as a junior? I went to France in 2008 and joined La Pomme Marseille as an under-23. I was being helped by Igna(ta)s Konovalovas who was a good friend of mine and was in Marseille already. We were helping each other after that; same if there was a new rider coming from Lithuania [happened with Ramunas Navardauskas in 2010]. A question everyone has: did you take a shower in the velodrome? No, I took the shower in the bus. I remember when I was junior, it was nice to take a shower in there but now we’re in professional teams and it is different, now we prefer to have our shower in the team bus. Taking a shower in the velodrome is just for the photos, maybe? Our sport director in the morning meeting was really inspiring, he told us how it was very important for our sponsors and after that I was focused just on this. I did my job in the beginning of the race, I was trying to get in the breakaway; then I was riding in this group because everybody want to go to Roubaix, you know? After that, when everybody in the group stopped and I had the puncture I was just thinking “why do I need to stop now?”. Even in my life I want to finish all the things I started; I think this is very important. When I was about to finish the velodrome was almost closed but the organization let me do my lap and a half to finish my Paris-Roubaix. Tell me about the team: do you get along well with the guys? Of course. I think we have a good group, each year we have some new riders and they also are comfortable here. We started the season in a good way, I think we’re not bad overall, we are progressing season after season. We also hope to find some big and new sponsors so our team can grow even more and so the race organizations can consider inviting us for bigger races. It’s important for our progress. What’s the language of choice, since there are a lot of guys from different countries? We speak French, a lot of guys also speak English and I also know some words in Italian and Spanish, but at the end of the day you also have to adapt, you know? Yesterday we had to explain to our Italian rider [Mauro Finetto] that the race had some dirty roads, so we used “like Strade Bianche”. You always find the words, it’s not complicated. When you want to, I think you can always find the solution. So, is Paris-Roubaix your favourite race? The race it’s really hard, when I was younger I really wanted to do this race, now that I’m professional I can say it’s really hard, much harder than the under-23 one, not even comparable. I’m also always passionate about Paris-Nice, I’ve been riding there almost every year since I turned pro. I remember when I was younger, during my first times riding Paris-Nice, there were teams like Rabobank giving their best in the crosswinds; for me it’s one of the best races and I always want to do Paris-Nice. After all, like Paris-Roubaix, it’s the history of cycling. I also hope i will have a chance to ride Tour de France but we need to wait. Hopefully next year. What’s up next? Is there a race that suits you, where we can cheer for you? I will take my chance already on Sunday at Tro Bro Leon. I knew it because in Paris-Nice I was sick and I was also not at my best for Paris-Roubaix, but yesterday [during Paris-Camembert] I was feeling much better so I hope for Sunday, I will try to do something. Then I’m not sure what I will do after Sunday; I will get some rest and will come back, maybe in Rhone Alpes or Dunkerque. So these are the races in which I can expect to do some results. Also, the Tour of Norway, which will be in middle of May, is a race I like, it’s hard conditions so I hope to be good there. Perfect conditions for a lithuanian, I’d say. Let’s think about this for a second: what happens if you win Tro Bro Leon? What about the prize (a little pig)? Well, I don’t know, if in my career i can win that as well I would be really really satisfied. I know they only give the piglet to a French winner. I’ve been living in France for more than ten years know, so we need to ask, maybe it would be possible, I hope so! My wife really likes everything from the meat, so [laughs]… But you know? They don’t give the pig straight away, they keep for them and after they get all the meat from him they send it to the winner. It’s a delicious thing, yeah? Is there an episode, an event, something (good or bad) you remember since you’ve started cycling that you always keep in your mind? Maybe not an episode or else, but I have a really nice family that supports me all the time and even if I don’t finish a race, like last one, or I finish last, it doesn’t matter, they support me unconditionally, so that keeps me going all the time. I know I’m fighting for my family, it keeps me motivated. Last but not least, what would like to say to those who got to know about you this weekend? I want to thank everyone who wrote a message to support me, the people on the road cheering for me. Even if I am and was far away I really appreciate all the love because it keeps me going. I’m really happy about this. And I want to thank Evaldas, for the time he dedicated to me on a day his phone was literally burning and for the lesson he taught us all on Sunday. 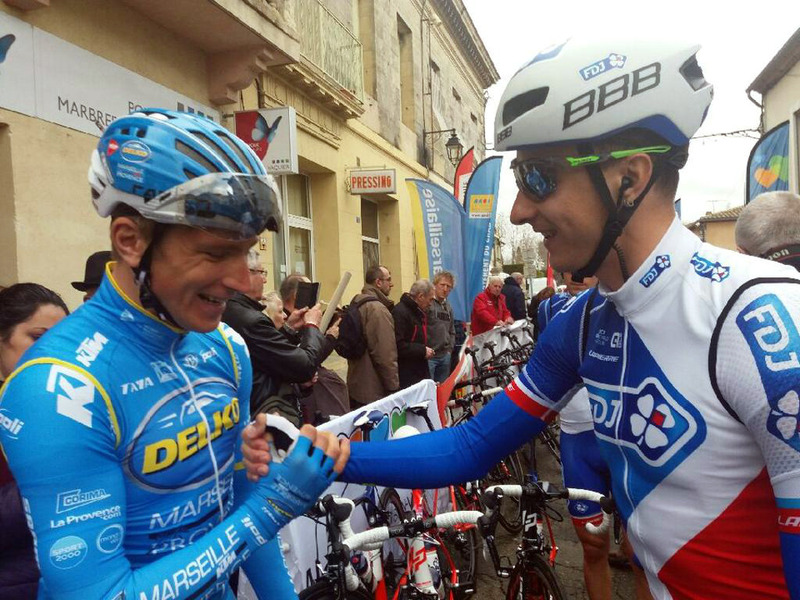 Here is a very small (and already famous) video of Evaldas during Paris-Roubaix. Follow him also on twitter @esiskevicius.